The Gordon-Keeble was named after company founders John Gordon and Jim Keeble. Sales-wise, it significantly under-achieved. An American V8 engine, along with a British chassis and Italian styling, should have been a viable combination. The Gordon-Keeble went into production in '64. By the following year, only 80 had been built. By '67 - the end of its run - that figure had risen to 99. Still paltry! Not for the last time, root problems were parts supply and under-funding. The Gordon-Keeble's V8 came courtesy of the Chevrolet Corvette. It produced 300bhp. The Gordon-Keeble's top speed was 135mph. It hit 70 in first gear. The more than impressive stats were in large part due to a lightweight glass-fibre body. It was designed by Giorgetto Giugiaro. He was 21 when he penned the Gordon-Keeble's subtle lines. Already, he was head stylist at Bertone. Later, he would join Ghia. By the late '60s, Giugiaro had launched his own studio. For Gordon-Keeble to attract such talent was a huge feather in their cap. The judiciously-slanted headlamps were just one of the features Giugiaro drafted. Beneath his body was a square-section space-frame chassis. It incorporated a DeDion rear axle. Lashings of torque were delivered to it by a 4-speed 'box. Gordon-Keeble's factory was on the site of an airport - near Southampton, England. Maybe, some of that aeronautical ambience rubbed off on the car. Certainly, its dashboard looked like it would be equally at home in a jet-plane - comprised, as it was, of a multitude of toggle switches. In pride of place on the factory façade was a small sign, which said a great deal. 'The car built to aircraft standards'. 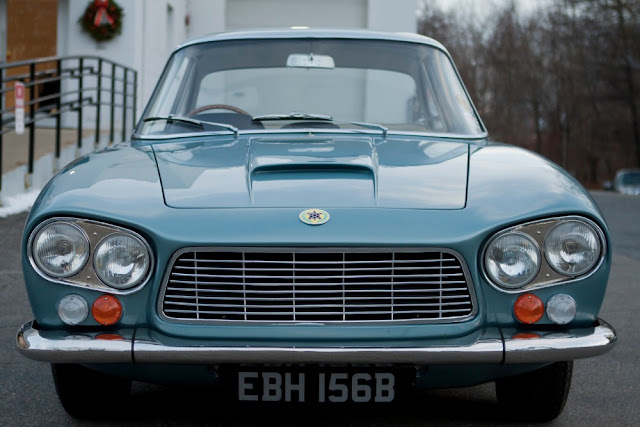 Sadly - in terms of automotive success stories - the Gordon-Keeble was one of those that got away!